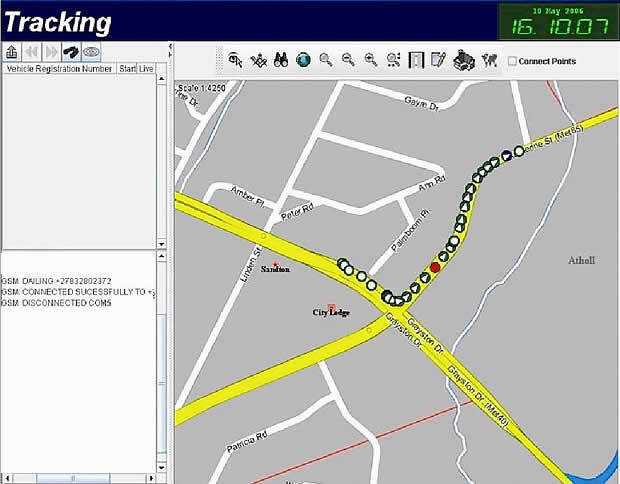 The map shows a live track of a vehicle being recovered. The arrows in the circles indicate the direction of travel. The red dot indicates the panic alarm.